Day two of the Rio Olympics was again a mixed bag for India. 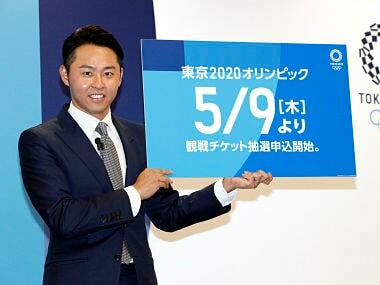 On one hand, India created history when gymnast Dipa Karmakar qualified for the final round of the Individual vault finals and the Indian women's hockey team marked a positive return to the Olympics after 36 years, with a well-fought draw against higher-ranked Japan. However, Sunday also saw Heena Sidhu falter after she failed to qualify for the 10m air pistol final and the Archery team narrowly lost the quarterfinal against Russia. Here's a look at the hits and misses for India on Rio Olympics Day two. Dipa Karmakar scripted history on Sunday by becoming the first Indian gymnast to enter the Olympic finals. The 22-year-old qualified for the final round in the Individual vault final of artistic gymnastics, after finishing eighth on the standings. Competing in the third sub-division, Dipa had an average score of 51.665. She managed to perform her much-vaunted 'Produnova' vault cleanly to score 14.850 on the vault, 11.666 on the uneven bars, 12.866 in balance beam and 12.033 in floor exercises. Dipa secured 7.000 on difficulty and 8.1 on execution, in her first attempt. Her score for difficulty was a tad lower, at 6.000, in the second attempt. She landed low on her Produnova vault in the first attempt, while her second vault was a 'Tsuk double full twist' with a step to the side. 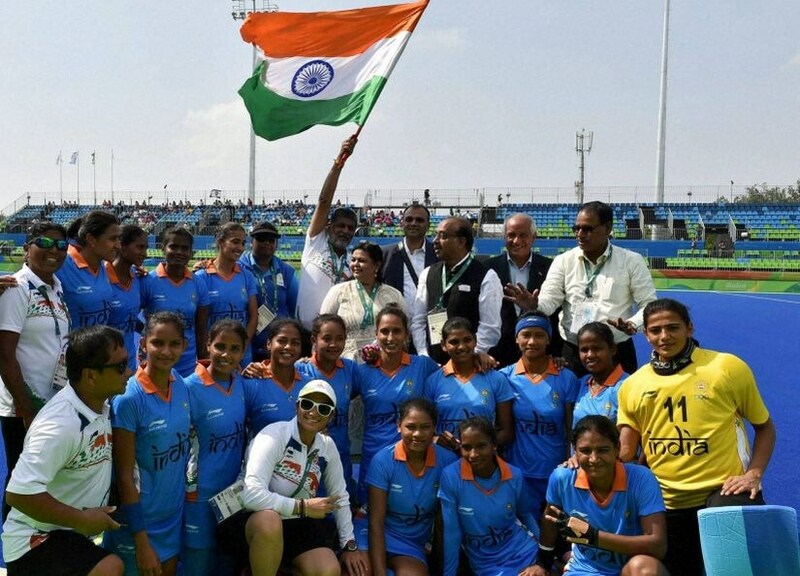 The Indian women's hockey team showed tremendous fighting spirit as it came back from a two-goal deficit to hold Japan 2-2 in its opening pool encounter. Japan's Nishikhori Emi (15th minute) opened the scoring and then Mie Nakashima (28th minute) stretched the lead, while Rani Rampal (31st minute) and Lilima Minz (40th minute) were the goal-scorers for India The Indian women's team were playing in the Olympics after a gap of 36 years. After being 0-2 down in the first half, India came out of half-time stronger, and immediately tasted success as Rani found the Japanese net via a penalty corner in the 31st minute of the game. Later, Lilima scored in the 40th minute to equalise. The first shot was blocked by the Japanese goalkeeper, but India capitalised on the rebound with captain P. Sushila Chanu playing an aerial ball towards Lilima, who slotted it home. India kept up the pressure in the final quarter with Rani forcing another smart save off a penalty corner from Asano, before her opposite number in the Indian goal, Savita, went better, thwarting wave after wave of Japanese attempts – at one point four in a row – to keep India level. The final minutes were a frenzy with Japan pushing to get the winner as India held on, defensively strong, for the point. It was India who came closest to winning it though, as Vandana was denied by Asano's stick in the dying seconds of the game. With the seconds ticking down, India sharpened the attack but failed to break through the Japanese defence and had to settle for a draw. 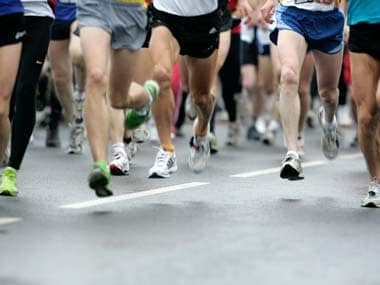 Manavjit Singh Sandhu and Kynan Chenai kept themselves in the hunt in men's trap qualification after finishing 17th and 19th respectively, on the first day of the competitions. Sandhu shot a total score of 68 – with his three rounds reading 23, 23 and 22 – while Chenai scored a point less in total – his three rounds reading 22, 23 and 22. Sandhu, playing in his fourth Olympics, rose to the third spot after the first round but drastically dropped to 13th after some poor efforts in the second round, to take his cumulative total to 46. Despite scoring another 22 in the third round, he slipped to the 17th position but managed to be in the fray for the semi-finals. Kynan, meanwhile, stood at the 25th spot after his first round but improved his position to 16th after the second round, where he scored 23 to take his cumulative total to 45. He fired another 22 in the third round to finish the day on the 19th spot. The action will continue on Monday, when the shooters will aim to seal a berth for the semi-finals. 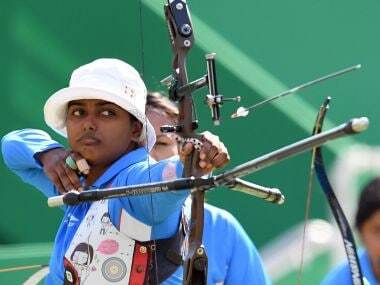 The Indian women's archery team crashed out after losing to Russia in the quarter-finals. The Indians lost 23-25 in a closely contested shoot-off, after both teams were locked 4-4 on points, having won two sets each. The Russian trio of Tuiana Dashidorzhieva, Ksenia Perova and Inna Stepanova held their nerves till the shoot-off, while India put in a rather inconsistent performance. Bombayla Devi Laishram was the best performer on the day with a series of consistent attempts. India lost the first set comprehensively, 55-48, before Bombayla and Laxmirani Majhi hit perfect 10s in the second set to equalise at 53-52. India won the third set by 53-50, mainly due to Stepanova getting one of her shots wrong, fetching only 6 points. Up 4-2, India could have clinched the match in the fourth set. 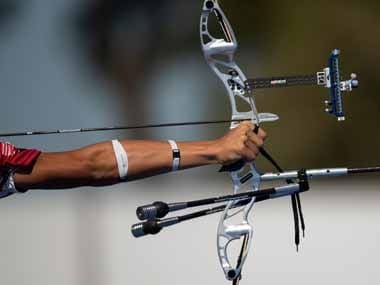 They needed a perfect score of 30 with their second set of arrows, to equalise with the Russian team's score of 55 and thereby win by a 5-3 margin, having tied the score. 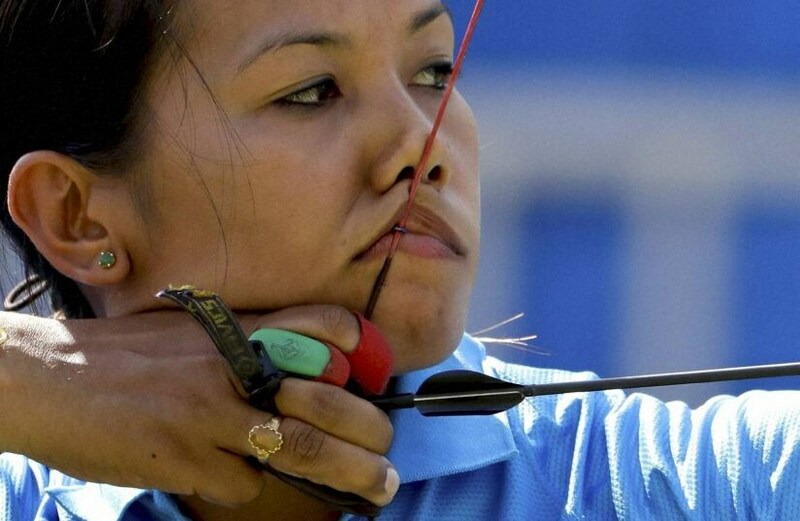 Bombayla and Laxmirani hit the bull's eye and Deepika Kumari needed to follow suit. It was another moment of reckoning where she scored only nine, thereby handing over the set to Russia, by a 55-54 margin, which enabled them to take the match into the shoot-off round. Earlier, the Indians had progressed onto the quarter-finals, beating Colombia 205-197. The Indian trio started well, leading the first set 52-51, with one inner 10, while Colombia managed to hit the bull's eye twice. In the second set, the Colombian trio of Carolina Aguirre, Maria Ana Rendon and Natalia Sanchez bounced back well to draw level with the scoreline reading 50-49. The set witnessed both the sides scoring three 9s. The third set witnessed stiff competition from both the sides and ended 52-52. Both sides managed to hit the bull's eye once, while India hit three 9s in reply to Colombia's four 9s. India came out fighting in the final set with four 9s to put up a total of 52, before Colombia panicked under pressure to manage only 44, giving India passage to the quarter-finals. Shooter Heena Sidhu missed out in the race for the finals of the women's 10 metres air pistol event, after finishing 14th in the qualifications. Heena could only manage a score of 380, with 13 inner 10s, after the completion of the four series. A late surge by the Ludhiana shooter was not enough, as she put up a score of 95 cumulative points in the fourth series to move to the 14th spot. Heena never really looked to be in the hunt as she started the first series with 94 cumulative points, before dropping to 29th with 95 points in the second. The third series witnessed Heena coming back to the 20th spot with some great shots, only to lose momentum towards the end, fetching her 96 cumulative points. Starting the fourth series at the 25th spot, Heena failed to put up a consistent show, shooting 9 and 10 in her first two shots before failing to hit another 10. Her last three shots fetched a 9, 10 and another 10, taking her toll to 95 cumulative points and ending her hopes for a medal in the event. Dipa Karmakar, in her debut Olympic Games, scripted history by becoming the first Indian to make the cut for the individual vault finals. 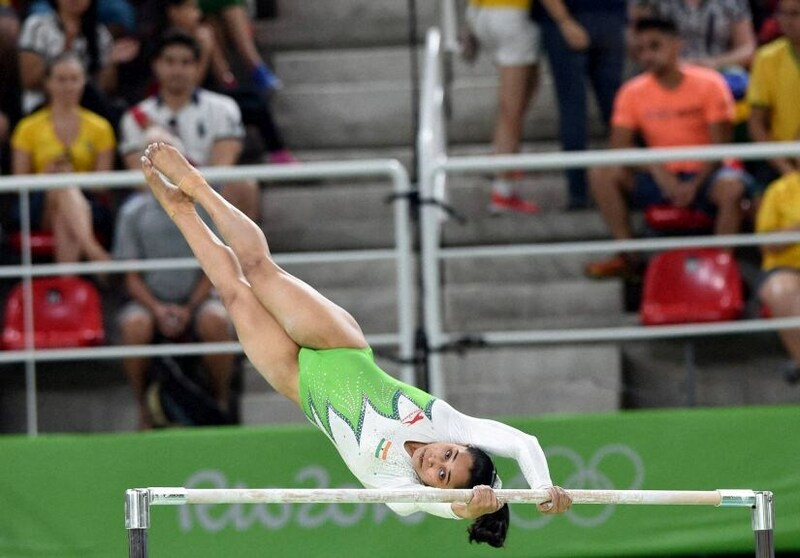 In a country like India, that has produced no Olympic-level female gymnasts, Dipa's achievements have already made her a star. In the finals, she will attempt the dangerous 'Produnova', known as the vault of death, that won her the bronze medal at the 2014 Commonwealth Games. If she can manage an encore performance and actually claim a medal at the Rio Olympics, Dipa Karmakar will be one of India's biggest successes at the Olympic Games.